I personally believe that one of the reasons why cupcakes continue to be so popular is that any dessert can be made into a cupcake. Tiramisu is one. The first time I had tiramisu was on a date when I was in college. My date suggested it, and I was pleasantly surprised. Tiramisu sounds like an Asian dish, so I was hesitant. 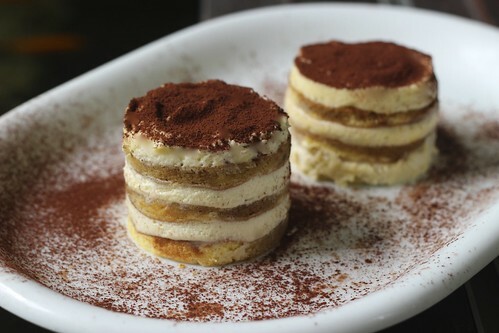 Tiramisu is actually an Italian dessert with sponge cake, mascapone, espresso, Kahlua, and cocoa powder. It is Italian for "pick me up". There are bakeries like Taste Love Cupcakes in Detroit or Cake Fantasy in the UK, who do tiramisu cupcakes, and there are some tiramisu cupcake recipes as well. BTW, has anyone done a red velvet tiramisu?